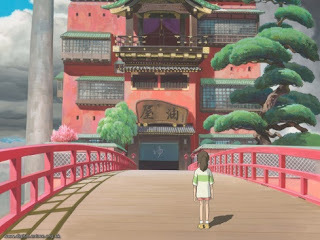 Chihiro Ogino, a ten-year-old girl. While moving to a new town with her family, she accidentally enters the spirit world. She is deprived of her name Chihiro (literally means a thousand fathoms) and is given a new name, Sen (literally means a thousand). While working, she learns many things. Chihiro and her family are on their way to new house in the suburbs when her father decides to take a shortcut along a lonely-looking dirt road. After Chihiro wanders off and finds a grand bathhouse, a boy approaches and warns her to leave before nightfall. 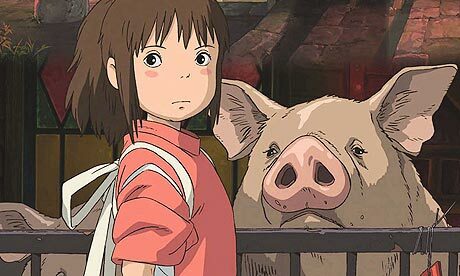 When Chihiro runs back to her parents, she finds they have been transformed into pigs, and the park starts to swarm with black spirits. Chihiro understandably freaks out and flees. She learns that this very weird place, where all sorts of bizarre gods and monsters reside, is a holiday resort for the supernatural after their exhausting tour of duty in the human world. 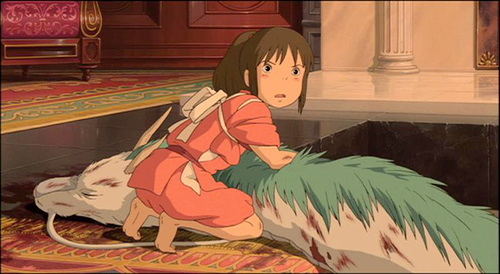 Soon after befriending a boy named Haku, Chihiro learns the rules of the land: one, she must work , as laziness of any kind is not tolerated; and two, she must take on the new moniker of Sen. 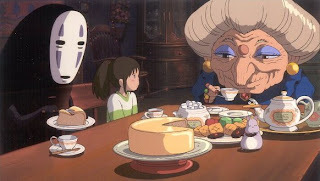 Spirited Away opened theatrically in Japan on July 27, 2001 by Japanese film distributor Toho, grossing US$229,607,878 to become the highest-grossing film in Japanese history. It was the first film to have earned $200 million at the worldwide box office before opening in the United States.